Unlike your IQ, your EQ (emotional intelligence) is malleable. Scientists describe the brain’s ability to change as, “plasticity “. IQ remains relatively stable throughout your life but your EQ can be developed, improved and honed. Emotional intelligence is the ability to tap into your emotions and use them to make your life better. Your emotions affect you as well as the people around you. EQ is synonymous with interpersonal effectiveness. As expected, a high EQ boosts career and interpersonal success, leadership talent, entrepreneurial potential, humor and happiness as well as a decrease in stress. The American Institute of Stress reports stress as the main cause of 40% of workplace turnovers and 80% of work-related injuries. Gallup employee satisfaction surveys often site stress as major inhibitors of production and retention. Both managers and employees seek to reduce stress in the workplace. So, who wouldn’t want a higher level of emotional intelligence? By learning techniques to be in touch with your emotions, you are better prepared to manage stress levels and communicate effectively both personally and professionally. The pillars of EQ are: Self-awareness, Empathy, Self-regulation, Motivation, Social Skills, and Happiness. 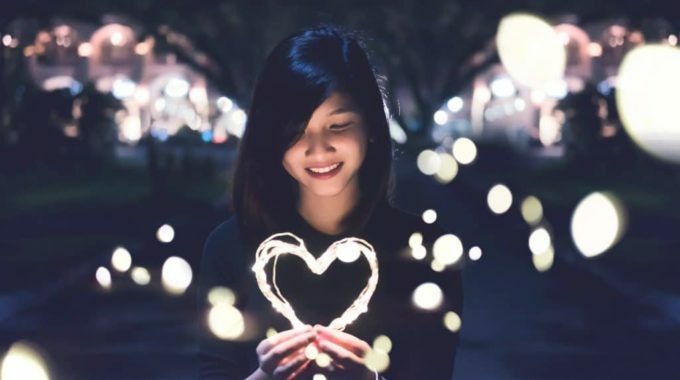 Three foundations in achieving higher levels of emotional intelligence include: self-awareness, interpersonal connection and putting EQ into use. Taking time to acknowledge your feelings instead of ignoring them is an important step in developing EQ. Start becoming aware of both negative and positive feelings and connect them to experiences. Name your feelings of sadness, fear, anxiety, joy, pride, embarrassment or contentment and note which situations brought theses feeling on. Note what times of the day are you generally feeling certain emotions. Are you sluggish in the morning, famished before lunch, uneasy with public speaking, enjoy round table discussion, frustrated on the commute to and from work? Recognize your own short-comings. Look for mind-body connections. Are your neck, back, limbs or head tightening with stress, do you note a sensation of your heart racing? Observe how your emotions and behaviors could be connected. Avoid reacting without any reflection on your emotions. Notice patterns in your own emotional history. Some people benefit from keeping a journal. Most important in developing self-awareness is practicing how you want to behave when you note certain emotions in the future. Being able to recognize how others are feeling and sharing emotions with them is the art of empathy. Some people are better at this than others but it is a skill that can be improved. Show interest in other’s situations. Consider putting yourself in their shoes. Ask yourself how you would act or feel in the same situation. Become an invested listener. Consider both sides of an argument with an open mind. Hone your skills at body language by trying to interpret tone of voice and more subtle facial expressions in others. Use good eye contact. Assess what effect you may have on others. You can practice being emotionally honest. Let others see your feelings. Being open and “yourself” makes you a trust-worthy person and gives others permission to let their true colors shine. You should review often where you may have room for improvement. Accept constructive criticism and use it as motivation for improvement. Identify what are your stress triggers. Use positive mantras throughout the day. Develop a plan of action to relieve stress such striving for more sleep before a meeting the next morning, consider a less stressful driving route to and from work on occasion or take a walk with a friend at work on a break. Learn to ask for help if you need it when stress becomes too overwhelming. Seek the advice of a colleague or contact me if you need help in improving your coping skills. Decide to adopt an optimistic attitude by incorporating humor, happiness and positivity into your life. Develop appreciation. Learning from a mistake builds resilience instead of fostering negativity. Learning to control your own mood can serve as motivation to find solutions to more problems in the future thus becoming a more effective and happy person. Many studies link performance with emotional intelligence. Charismatic leaders recognize they are a life-long work in progress and that there is always room for improvement. Improving your EQ can lead to higher levels of happiness, mental and physical health and interpersonal relationships. Using your IQ to improve your EQ = working smart! 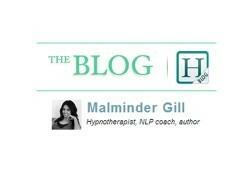 Malminder is a Harley Street Hypnotherapist and NLP Coach helping many people to manage personal difficulties, anxieties at work, low confidence, anger and emotions. Malminder offers online hypnosis via Skype for national and international clients.